Basically, we have conveniently designed an "interface" software connecting you with powerful & FREE tools you can use to create professional web video presentations for your online business. 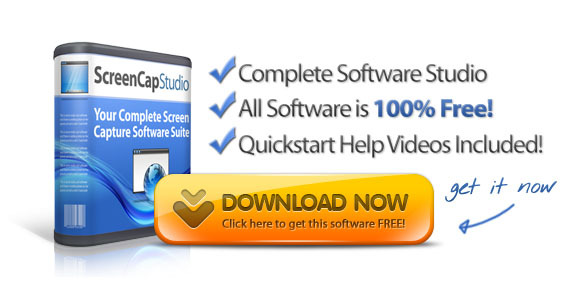 We have researched 1000's of free software tools related to video production and we have successfully uncovered a few golden gems! And we have integrated those gems into this amazing free software suite! In addition, we have integrated a brand new "Video Webpage Designer" software tool that we custom built directly into the ScreenCapStudio software. With the video webpage designer, you can quickly create a basic video webpage you can upload to your website for delivering your video content to your audience. 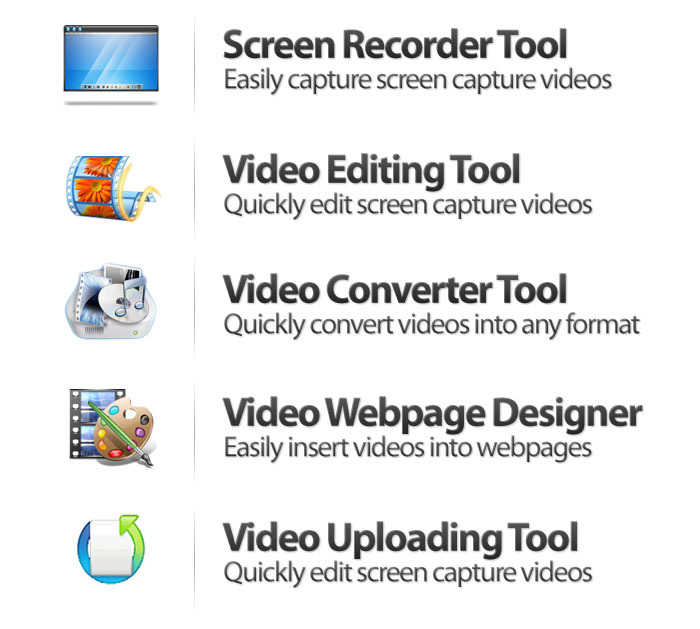 There are many ways to making HUGE money online by using screen capture video presentations! For example, you can review a digital product from the Clickbank.com market place, upload that video to a Facebook page, then send traffic to your page using the Facebook ad platform. If you already own an online product, you can easily increase sales by simply showing the benefits of your product using a screen capture video.